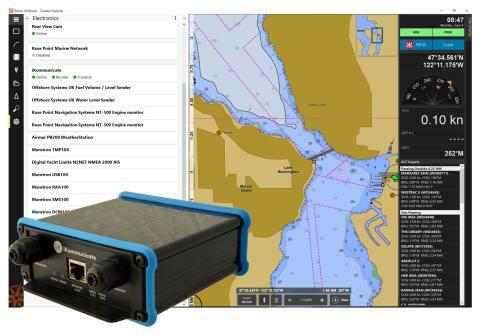 Digital Yacht announced today the release of new firmware for their innovative iKommunicate gateway that fully integrates it with Coastal Explorer - the popular US navigation software program. 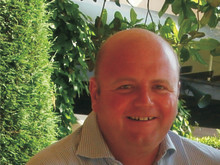 Getting NMEA data into PCs has traditionally been a headache with USB interfaces that need special drivers, issues with Windows power saving and sleep modes, setting up virtual COM port baud rates and just a general "geeky" nature to the whole experience that many users found confusing and frustrating. With the new iKommunicate update, just plug its network cable in to a wireless router, connect the PC wirelessly (or wired) to the same router and within seconds the two devices will auto-discover each other and start sharing data. All information on the iKommunicate's NMEA 2000 interface or any one of its three NMEA0183 interfaces, will come streaming through in Coastal Explorer protocol. 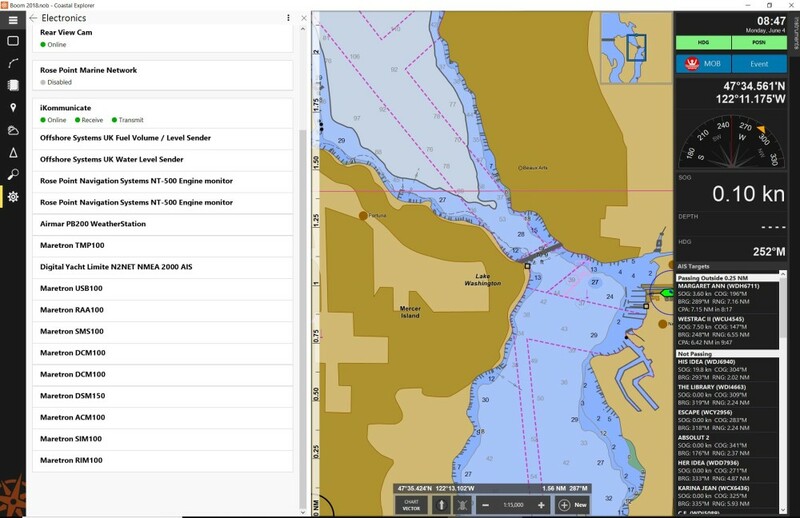 If you want to control the autopilot, just start navigating to a route in Coastal Explorer and iKommunicate will pass the NMEA2000 or NMEA0183 data through whichever interface you have physically wired to your autopilot. iKommunicate was originally designed to support the new Signal K open data format and wireless NMEA 0183 (TCP/UDP) connectivity but with the addition of the Coastal Explorer protocol, iKommunicate is fast becoming a universal gateway. At $299 (GBP220/EUR265), iKommunicate is a cost effective and efficient solution to use NMEA data on more and more devices. 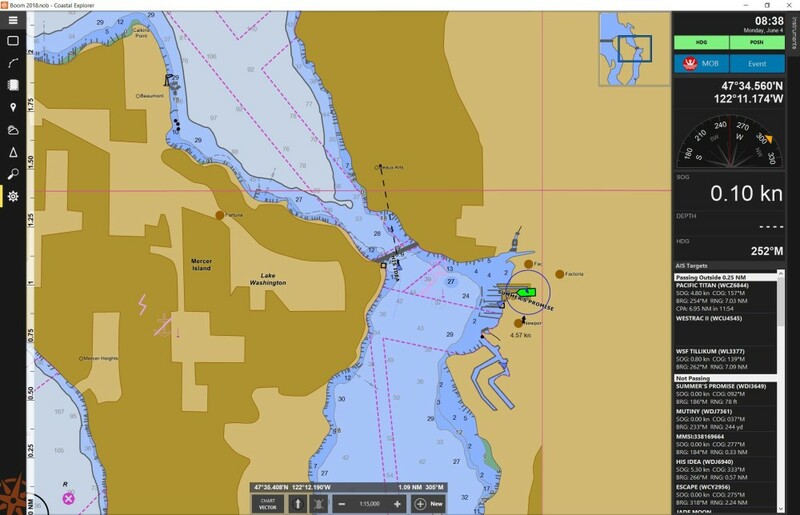 Coastal Explorer from Rose Point Navigation Systems (http://www.rosepoint.com/coastal-explorer/) is one of the most widely used marine navigation programs for Windows PCs, with a wide range of sophisticated functionality and support for vector and raster charts.